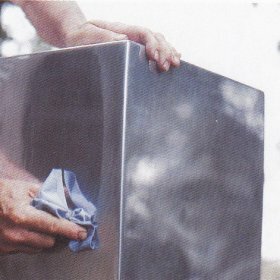 Casting, pressing, bending, and rolling are just some of the techniques used to make metal planters. During manufacture, the surface of the metal can be treated by galvanizing, painting, powder coating or chromium plating to create types finish. 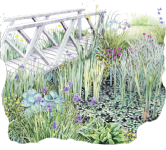 There is a huge choice of finishes that makes metal a popular choice for the planter gardener. 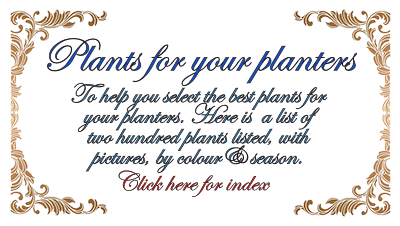 Metal does tend to heat up, although painting it will help to deflect the heat from some of your poor plants before they bake. The biggest problem with most metal containers is that they lack drainage holes. So your plants could theoretically drown in hot water. If you can't make a drainage hole, you will want to put lots of gravel or polystyrene in the bottom of the pot to help create a place for the water to drain to. Metal planters give a modern, clean clinical look and are easy to clean if you have stainless steel planters. Many metals are also prone to rust so they may seem permanent but turn into leaky sieves before your eyes - unless you take care to prime and paint them. Of course copper and bronze don't have this problem - instead they develop a lovely patina. 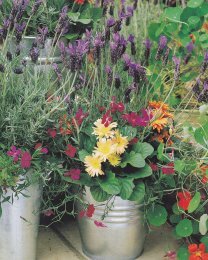 Since metal can also be heavy, if you have a planter without drainage the best thing you can do is use it as a sort of cache-pot to hide a homelier container inside. That way if you need to move them you can do pot and metal planter separately and save your back. Highly polished stainless steel or alumunium planters make a strong visual statement. To maintain the impact of their bright reflective surface, you will need to keep the surface highly polished using a window cleaning spray.